U.S. 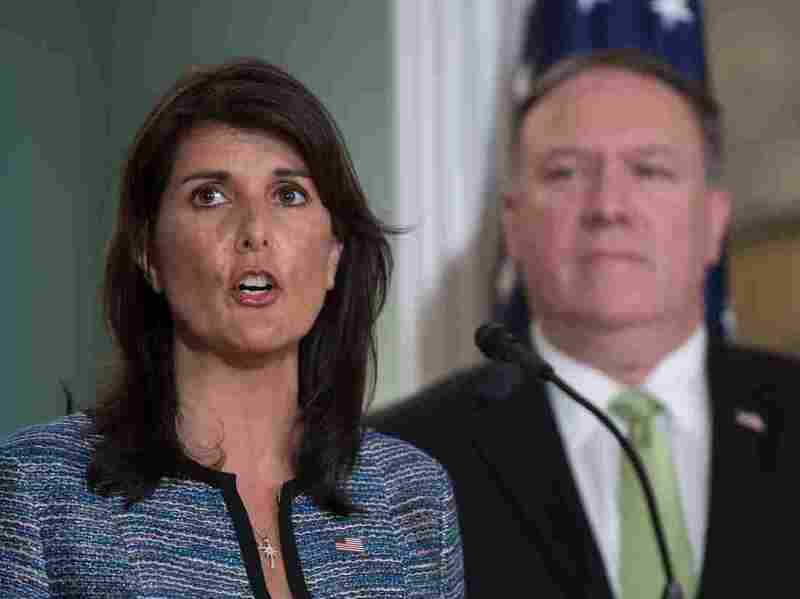 Announces Its Withdrawal From U.N. Human Rights Council The Trump administration long has chafed at the dubious rights records of many council members and what it calls a "chronic bias against Israel." Now the U.S. is following through on threats to leave. Kenneth Roth, executive director of Human Rights Watch, said the U.S. focus on Israel's treatment has actually caused American officials to lose sight of the good work the council has done elsewhere. "The U.N. Human Rights Council has played an important role in such countries as North Korea, Syria, Myanmar and South Sudan, but all Trump seems to care about is defending Israel," Roth said in a statement to NPR. "Like last time when the U.S. government stepped away from the Council for similar reasons, other governments will have to redouble their efforts to ensure the Council addresses the world's most serious human rights problems." And Richard Gowan, a fellow at New York University's Center on International Cooperation, told NPR's Michele Kelemen that there is another potential issue muddying the waters of this decision: the recent condemnations leveled at the Trump administration's immigration policies by international human-rights officials. In a span of less than two months, U.S. officials have separated some 2,300 children from their parents after they crossed the border into the U.S., according to the Department of Homeland Security. And the administration's policy has attracted a sharp rebuke from the U.N. high commissioner on human rights, Zeid Raad al-Hussein. Hussein pointed to criticism from the president of the American Academy of Pediatrics, who referred to the border policy as "government-sanctioned child abuse." And the commissioner noted that the U.S. remains the sole U.N. member not to ratify the Convention of the Rights of the Child, a landmark agreement passed nearly three decades ago. 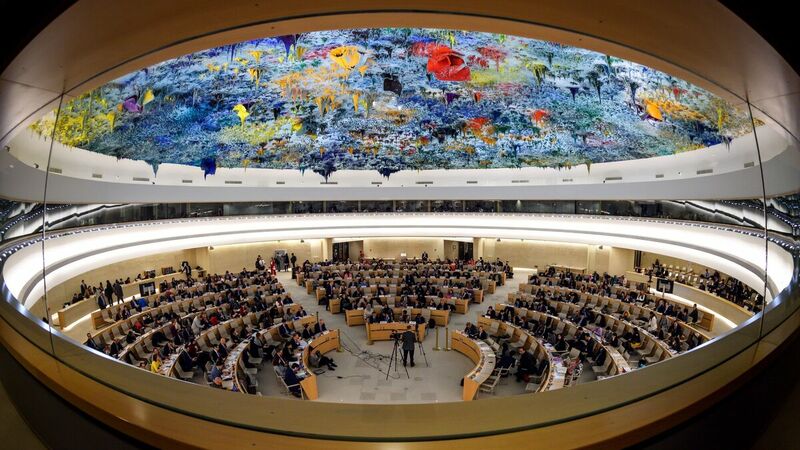 "The Human Rights Council has become an exercise in shameless hypocrisy, with many of the world's worst human-rights abuses going ignored and some of the world's most serious offenders sitting on the council itself," he said Tuesday. "The only thing worse than a council that does almost nothing to protect human rights is a council that covers for human-rights abuses — and is therefore an obstacle to progress and an impediment to change."